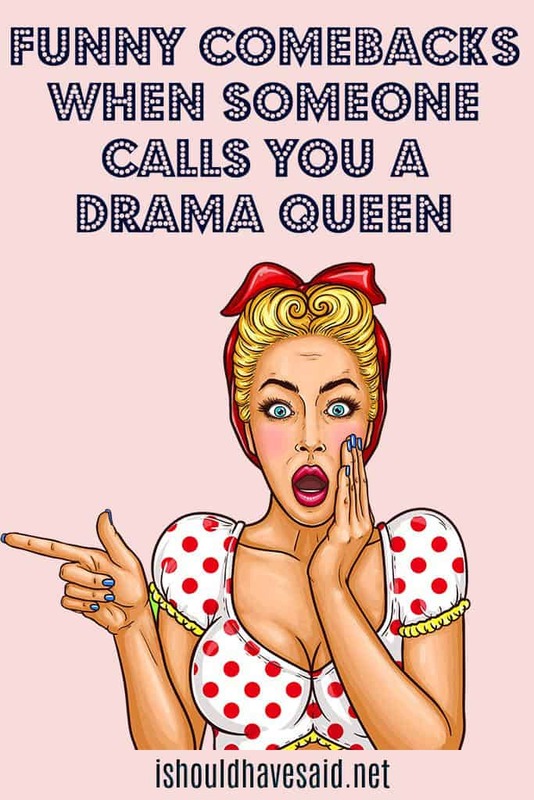 Being called a drama queen isn’t a compliment. 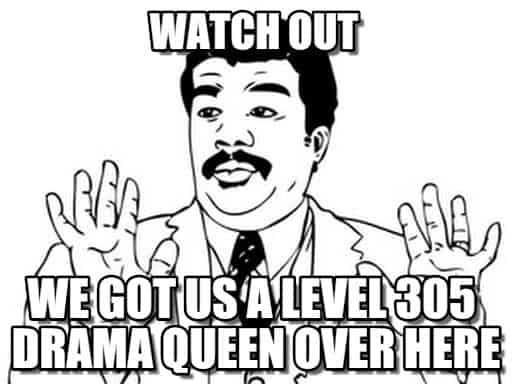 Drama queens are known for blowing everything out of proportion and making small things into big things. Usually, girls are accused of being drama queens but sometimes boys get into the mix as well. Some say drama queens are seeking attention from others but their drama also makes life more challenging for everybody who has to deal with them. If someone calls you a drama queen, you may want to seriously think about changing your ways, but in the meantime use one of our comebacks. Go ahead and tell us what you think is the best answer. Yah, the Junior high called me. They want their drama back. No matter how fast you run…you’ll never get away from my drama! My drama’s made for movies, not reality! I’m a drama queen and damn proud. Another good comeback: Well at least I’m a queen, you peasant! Haters, awesome ends with ME and ugly starts with YOU.